TruckSafe has revamped its entry standards. The Australian Trucking Association’s industry accreditation body TruckSafe has revamped its entry standards to match recent industry changes. 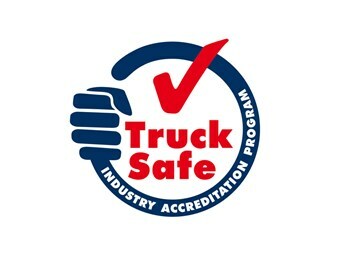 Working with non-profit training organisation TRANZnet to better support its members, TruckSafe has reshaped its mandatory accreditation modules, requiring five boxes to be tricked rather than the previous four. TruckSafe general manager Justin Fleming says the changes reflect the need for the industry to continue improving its safety record. "We have seen huge changes in the trucking industry and improvements to our safety record over the years, and it is important for us and our members to continue to keep up with these changes," Fleming says. "It is essential for TruckSafe to keep up with industry changes and our new standards will continue to ensure that TruckSafe accredited operators are some of the safest trucking operators in Australia." Aiming to define a new level of best practice for the industry, TruckSafe says it has teamed up TRANZnet to help it educate its members on the changes in the regulatory and policy landscape. The body says the education will reflect new challenges facing the industry and the improving technology options for transport operators. "TruckSafe and TRANZnet are looking to develop our alliance for our members to have the added value of additional support such as safety training and assessment as well as consultancy services," Fleming says. Management - This module aims to ensure a trucking operator has a documented business system covering each of the standards. Maintenance - This module aims to ensure vehicles and trailers are kept in a safe and roadworthy condition. Training - A key change to this existing standard is the introduction of a practical driving assessment as part of a driver’s induction. This assessment can be performed by an experienced driver, company manager or external trainer. On-road compliance - This new module aims to ensure trucking operators meet their obligations with regards to mass, dimension and load restraint, speed management, driving hours and fatigue. Fitness for duty and driver health - This standard aims to ensure drivers are fit and healthy and Workplace Health and Safety requirements are met. It covers fitness for duty, driver health screening (including medicals), the role of the medical practitioner, and rehabilitation. The new auditing standards will take effect from the beginning of 2017 and also add a voluntary module for the livestock industry, TruckCare. The other half of the new partnership, TRANZnet says it will provide the industry experts. "At TRANZnet we are the peak body representing trainers, assessors, and consultants who provide services to the transport, logistics and distribution industry," TRANZnet board member Bernie O’Hara says. "By teaming up with TruckSafe and understanding its new standards, we can help TruckSafe members continue to be compliant, with an array of industry experts which we can provide." The new TruckSafe guide is available here.